The Hubble isn't the only telescope floating in orbit around earth - NASA also has the Fermi Gamma Ray Telescope. Fermi turns five this week. 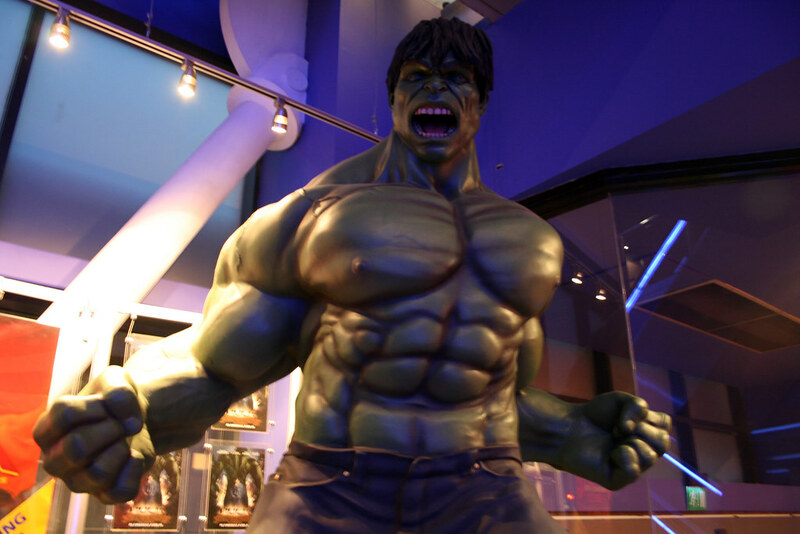 Why gamma rays? 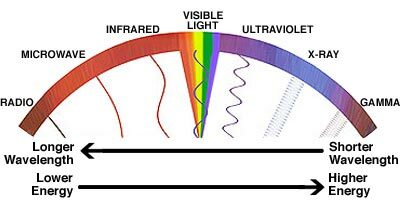 The visible light that we see is a small part of a much larger electromagnetic spectrum. The Fermi telescope uses gamma rays, which travel very fast with a very high energy (i.e. they have a high frequency). Faster, high energy waves have a better chance of detecting hard-to-see objects in the universe such as black holes. Check out the following description of the spectrum from Science Company. The chart makes it apparent that lower energy light on the left of the visible spectrum such as radio, microwave, and infrared are what we see in our everyday lives. Several of these waves are passing through your body as you read this, but since they are low energy no damage is done. The higher energy gamma rays on the right can only be used safely because the Fermi telescope is in space, away from human contact. The Large Area Telescope (LAT), the mission's main instrument, scans the entire sky every three hours. The state-of-the-art detector has sharper vision, a wider field of view, and covers a broader energy range than any similar instrument previously flown. Fermi's secondary instrument, the Gamma-ray Burst Monitor (GBM), sees all of the sky at any instant, except the portion blocked by Earth. This all-sky coverage lets Fermi detect more gamma-ray bursts, and over a broader energy range, than any other mission. These explosions, the most powerful in the universe, are thought to accompany the birth of new stellar-mass black holes. Check out a five year retrospective of the Fermi telescope below. All this news makes the Incredible Hulk happy, and he celebrates by beating the mess out of Loki in this scene from the Avengers movie.